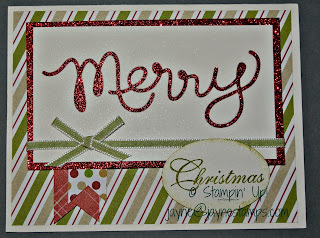 Today I am going to show you how color can make a difference on your cards. 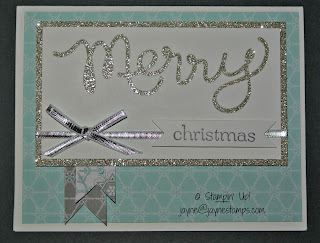 I have the exact same card, but made with two completely different color pallets. 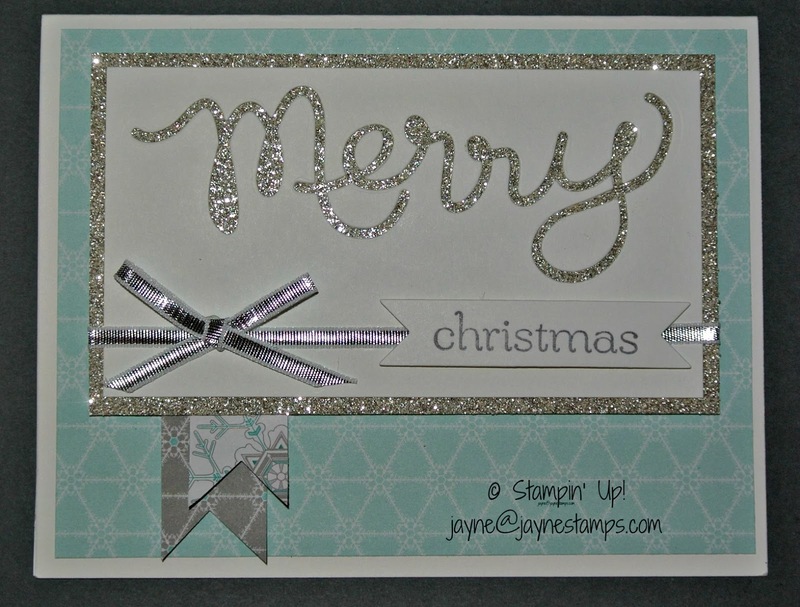 The first card is a soft blue and silver/gray. The blue is Pool Party. When you look at this card, what do the colors convey to you? Cold like winter? Elegance? 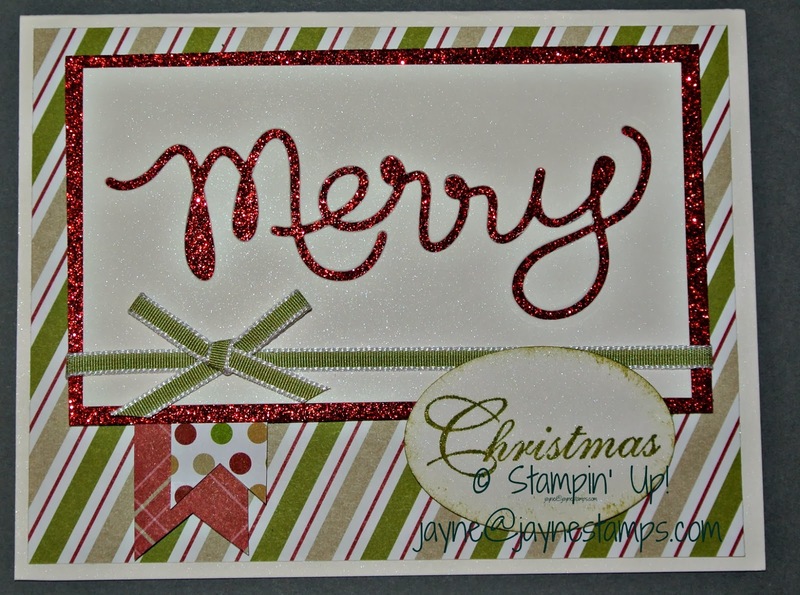 The second card is the exact same layout, but this one is red and green. Does this give you a different feeling than the first card? Did you notice that I used the negative image from the Expressions Thinlits dies? I'll be posting some more ideas using the "positive" image from those dies so you can tell the difference. Accessories: Expressions Thinlits Dies; Bitty Banners Framelits or Extra Large Oval Punch; sponges; Dimensionals. It's amazing what changing the color of a card can do. Next time you make a card you like, try making the same one in a different color pallet. And let me know how your experiment goes. I'd love to see what you create!